“With that (approach) there would be less conflict, hopefully, because it would be member driven,” said Representative Mark Meadows of North Carolina, a second-term lawmaker and sponsor of a July motion that sought to oust Boehner. Meadows’ motion was never voted on, but it created much of the friction leading up to Boehner’s decision to leave, which he announced last month, stunning Washington and thrusting the Freedom Caucus onto Capitol Hill’s center stage. 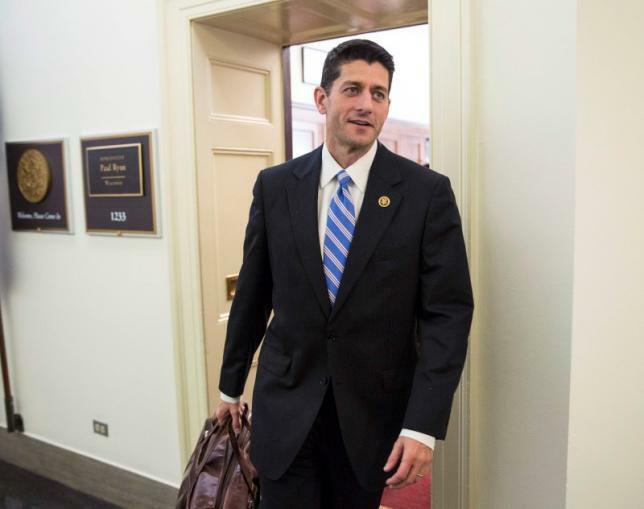 “Paul Ryan can be the kind of speaker we need at this point,” Representative Jim Jordan, chairman of the caucus, said. Jordan predicted that up to 28 of the caucus’s 39 members would back Ryan on Thursday when the House votes for a new speaker. The Freedom Caucus has earned a reputation for stubborn refusal to compromise in squabbles with Boehner over issues such as women’s health and abortion provider Planned Parenthood and raising the U.S. debt ceiling. But while Jordan, Mulvaney and Meadows said they had not seen details of the deal, they doubted they would support it. “It’s not designed to get us; it’s designed to get Democrats” to vote for it, said Mulvaney, of South Carolina. Jordan said Ryan, the Republican 2012 vice presidential candidate, is talking about having more House Republican meetings to discuss policy. Jordan also said lawmakers are working on rule changes to reduce the speaker’s influence on determining committee assignments. “We’re not always, ‘no, no, no, hell no.’ We’re actually trying to float some ideas out there,” Mulvaney said.